Fantastic swimming from everyone! All children swam brilliantly and a huge credit to the club! Thanks goes to all the coaches and the parents for their support. Well done to our swimmers in all three rounds of the competition, you all did your bit to get us there!! 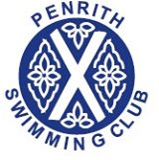 Penrith Swimming Club - Diddy League Captains: (L-R) Caitlin Padgett, Sophie Millidge & Archie Harding.